One of the newer videos produced by Crosby is called “Sling Angle Best Practices”. This article serves to communicate the main principles discussed and illustrated in the video. 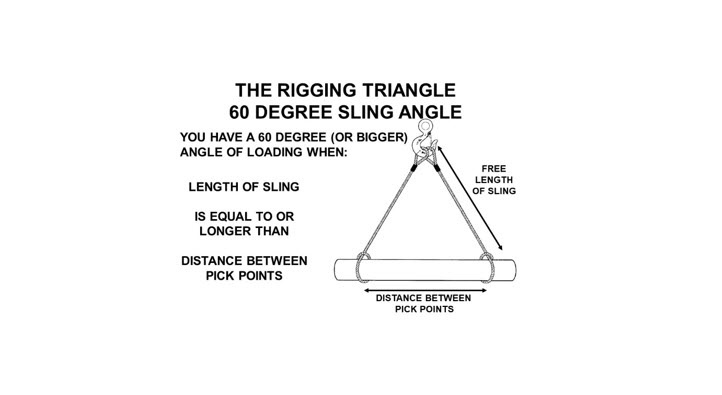 Since most of the time the rigger in the field only has one connection point to collect their slings, it is important that they understand best practices for rigging triangles and angles formed. The rigging triangle is formed anytime two or more slings are connected to a load and the other end of the slings are collected in a common point such as a hook, shackle or ring. Whether the slings are chain, wire rope or synthetic, sling angle best practices are the same. 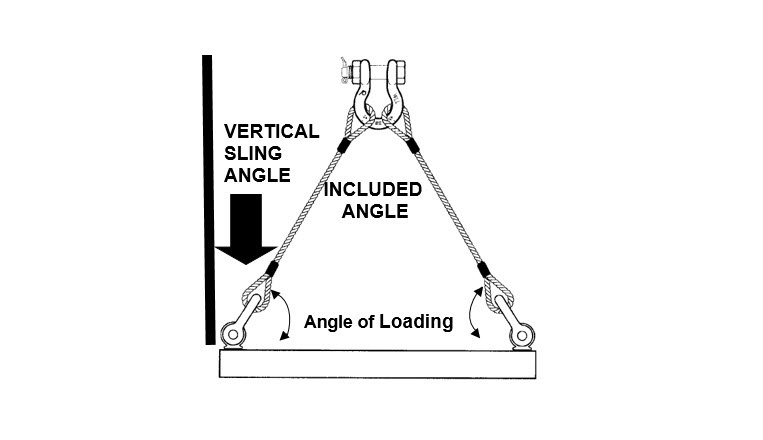 As the rigging triangle becomes flatter, the angle of loading (horizontal sling angle) becomes smaller. As the angle of loading becomes smaller, the crushing force increases as the slings try to buckle the load. The slings are subjected to the combined effects of lifting and crushing known as the resultant load. Thus, as the angle of loading becomes smaller the slings work harder. Also, the fittings at the load connections are subject to the same tension as the sling leg, and angular or side loading can occur at the load connections. These important factors need to be considered when selecting the proper size and type of rigging hardware to use. One of the best rigging practices to follow whenever possible, is to keep the angle of loading 60 degrees or larger as best practice, and remember the lowest (worst) angle of loading allowed by most world standards is 30 degrees. 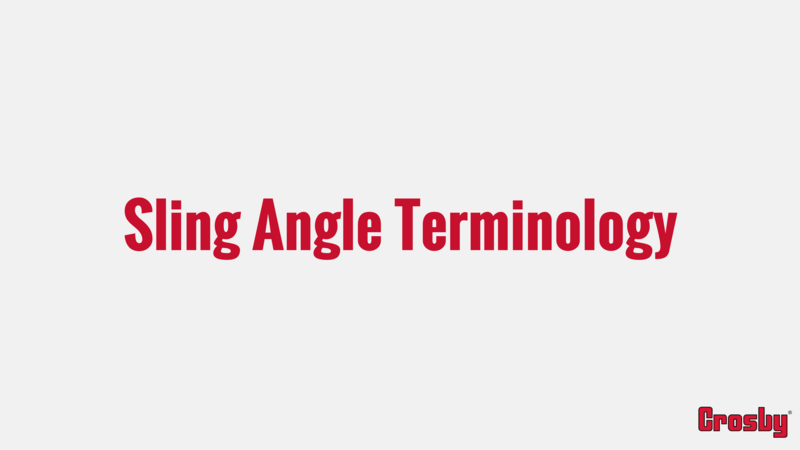 For individuals that use the vertical sling angle, best practice would be to have vertical sling angles 30 degrees or smaller, and the largest (worst) vertical sling angle allowed would be 60 degrees. When using two slings with center of gravity in the middle, if free length of sling is at least the same as the distance between the pick points, the angle of loading would be at least 60 degrees. (See picture illustrated below). These are just a few of the best practices discussed in the video. Hope you find this article and video helpful in your rigging educational endeavors. Rig safe! © The Crosby Group, All Rights Reserved.